Parking is in my driveway in the historic District of San Marcos, TX. No generators between 9pm and 8am. If you are a smoker, please dispose of your cigarette butts appropriately. Dog business needs to be picked up by the dog owner. My street is narrow and no parking along the street is permissible. As mentioned earlier, there is street parking one street over from my street. A tow vehicle and RV will fit in my driveway depending on the size of RV. If tow vehicle doesn't fit it can be parked on a side street. 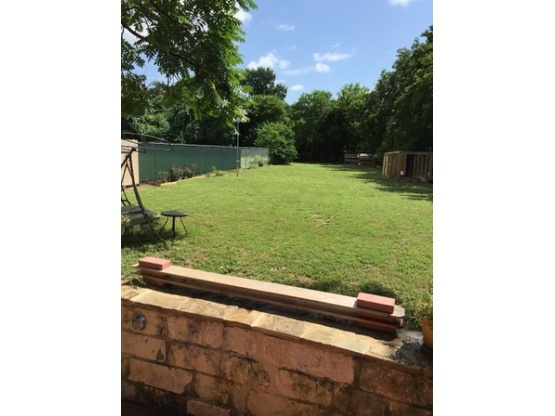 I am a short distance from the downtown square of San Marcos, Texas State University, and the San Marcos River. I am approximately 30 minutes from New Braunfels, Wimberley and Gruene, Texas. Gruene has the oldest dance hall in Texas with live music nearly every night. Austin and San Antonio are both about an hour from San Marcos.